Josephine’s work was featured during the making of a television programme called Homes Under the Hammer. The programme followed the refurbishment of a property called the Windcliffe Hotel on the Isle of Wight, from the auction purchase to it’s conversion into what has become the “Enchanted Manor”. 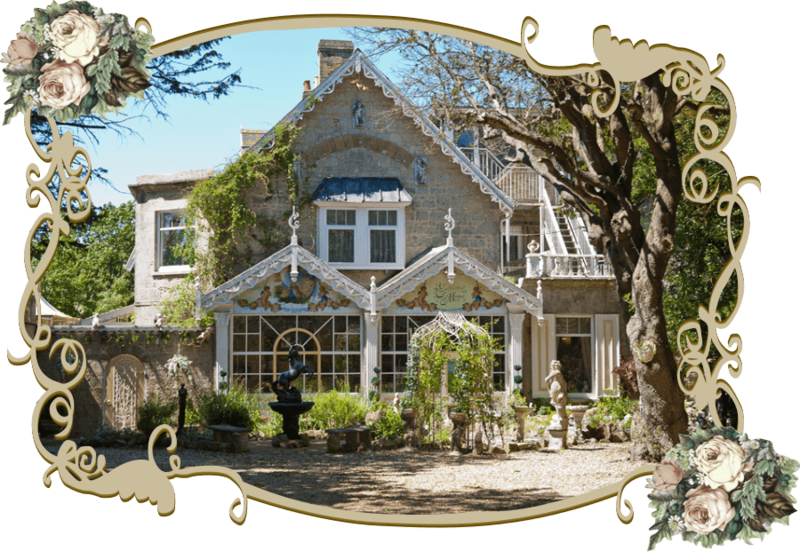 If You Are Looking For Somewhere Unique In Stunning Surroundings With Personal Friendly Service, The Unique 5 Star Multi Award Winning Enchanted Manor Is The Place To Be. Ideal For: Couples Celebrating Special Occasions, Anniversaries, Birthdays & Engagements, Romantic Breaks, Intimate Weddings Up To 60 Guests, Honeymoons, Special Breakaways for Couples, Friends and Family.